Gotta love barn wood. 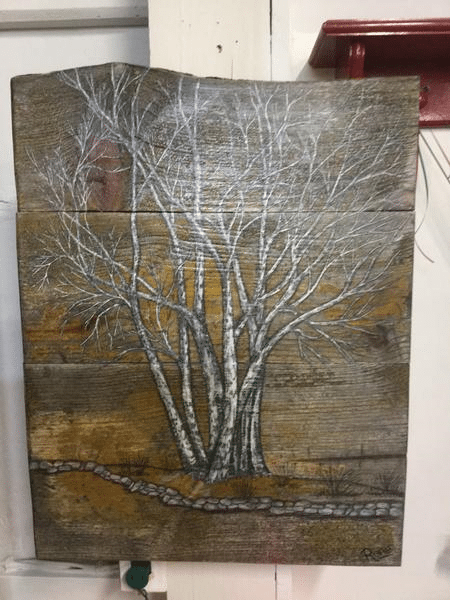 Got inspired by my friend Chris Goodwin, and painted the Aspen tree that sits in her dads yard. first I painted the tree using multi purpose primer and then drew in the details using charcoal pencils. then applied 3 coats of polyurethane.